Solar energy for businesses has an incredibly fast ROI. With current incentives, your system can pay for itself in less than 5 years and produce energy for the next 30 years. 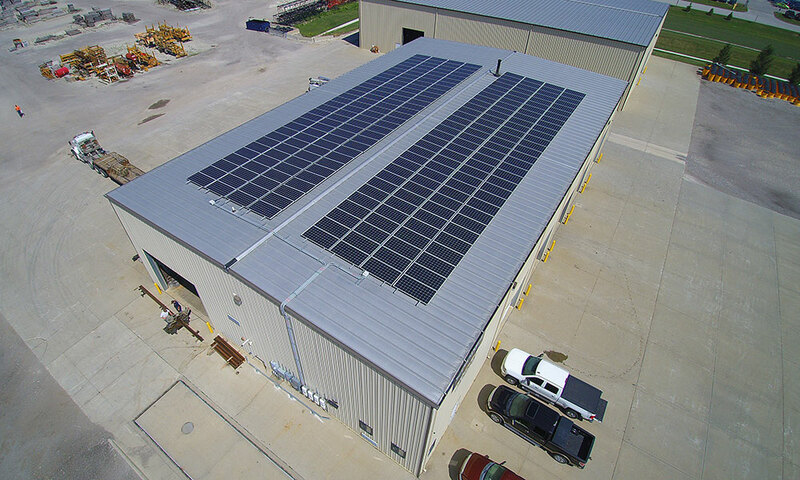 Kinzler Construction Services invested in renewable energy at their Ankeny warehouse by installing a 201.6 kW solar system. The 622 solar panels will produce enough electricity to power their entire operation at this location. This system is also connected to the internet so Kinzler can monitor the production. 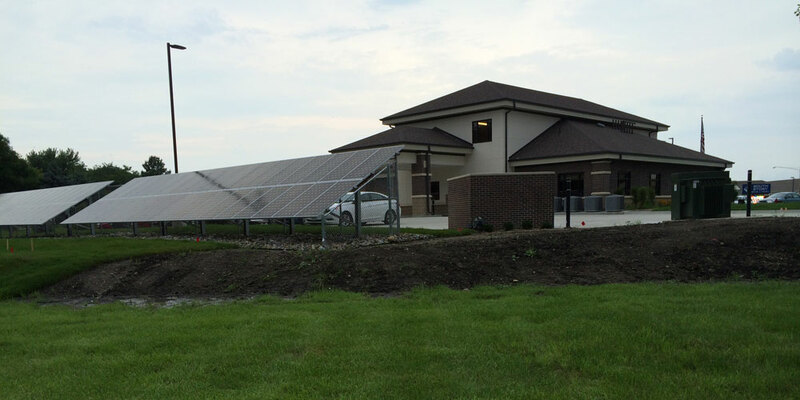 Looking to go green and decrease their electric bills they installed a 76.8kW solar system. This system will help offset their usage in both the shop and office area. 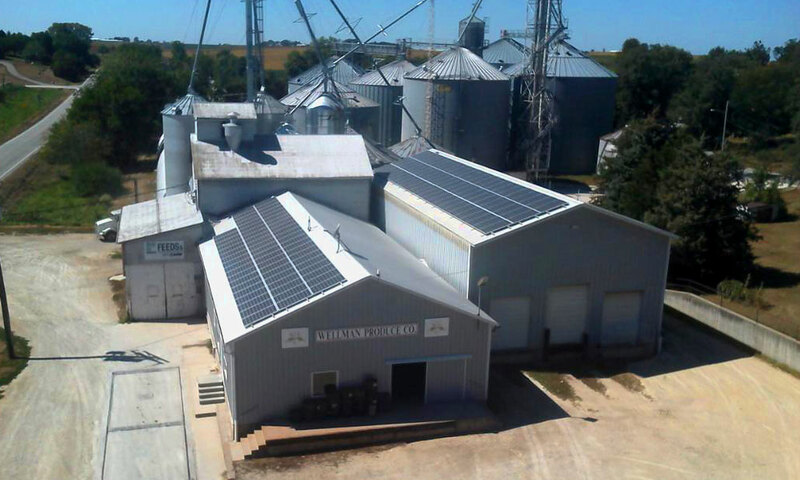 This grain elevator, in business since 1897, installed a 35kW array to supplement their power. With net-metering through the utility, Wellman Produce can stock up credits all year and use them up in the fall for the drying season. 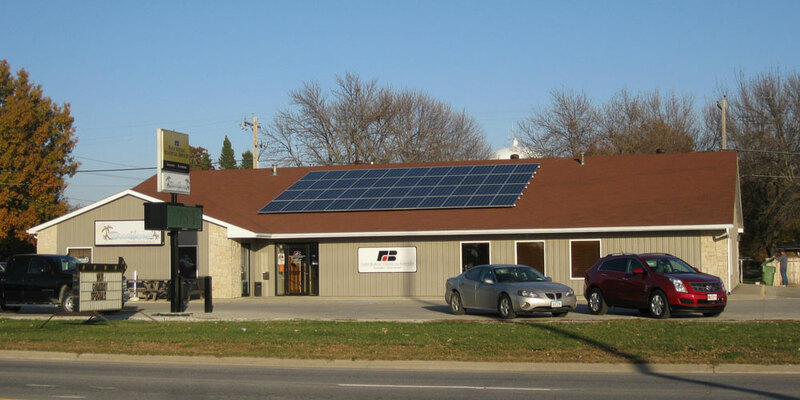 Cornerstone Excavating installed a 9.6kW array to offset the usage of their shops and offices. This array is connected to the internet to monitor daily, monthly, and yearly production, we can even see instantaneous output of each individual panel of the system. CB Solar’s very first install, this office took the chance on a new company and has benefited from our work since day one. 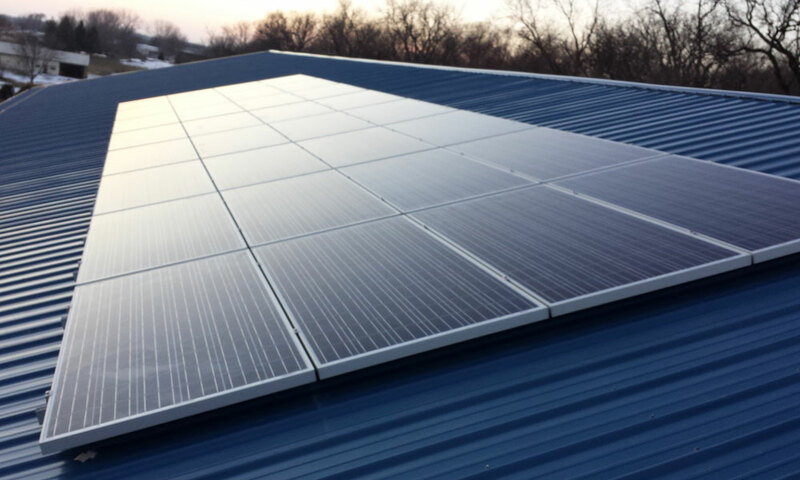 This 11kW system on MidAmerican’s network is providing the FBFS office with clean, reliable power while nearly eliminating their electric bills. 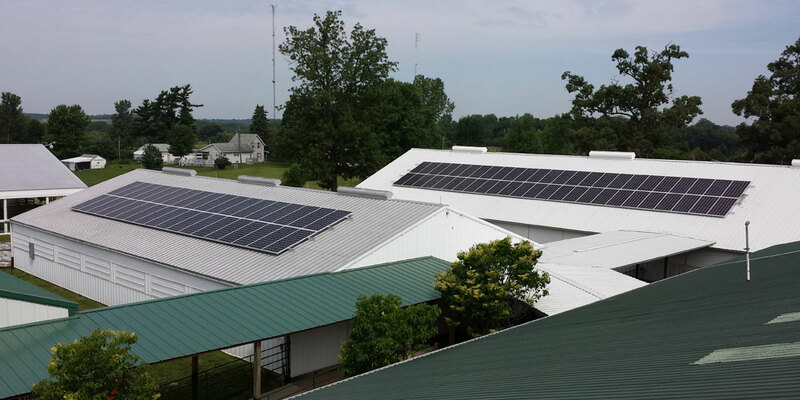 This 38.8kW system spans over 3 different rooftops on the fairgrounds. With a sub-array covering independent meters for the campgrounds, street lights, office building, and several livestock buildings, the fairgrounds are able to cover a majority of their bill from their annual July celebration. Looking to go green during their new construction, South Story Bank and Trust wanted a renewable energy system they could bank on. 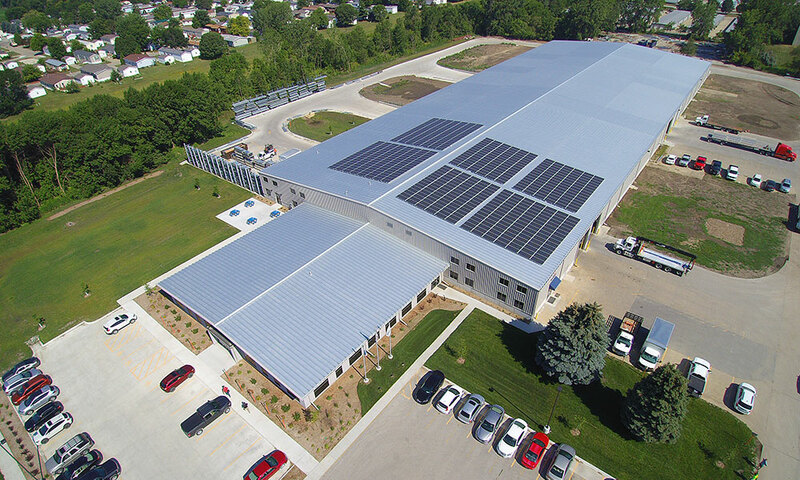 CB Solar installed a 20.4kW ground rack along the south edge of the parking lot to decrease both their electric bills and environmental impact. We are glad to provide free, in person, site analyses for sites in Iowa and across the MidWest.